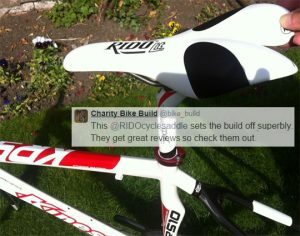 I had prostate surgery a few months ago (mid December), expecting to be off the bike for about 6 weeks + , but after finding out about these saddles http://www.rido-cyclesaddles.com/ I went ahead and bought the two different models, the R2 and the RLt, and was back riding again in about 2-3 weeks after surgery. 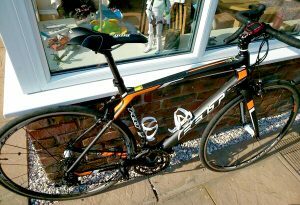 I am not using the R2 any more but am using the RLt on my road bike and have ridden plenty of 100 Km + rides on it . BTW I am WELL past 50 years old ! Not a customer review. Just wanted to show our support! 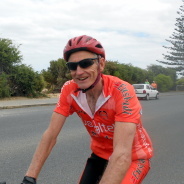 “2013 proved to be annus horribilis for Graham Oatridge. “We seemed to be bombarded with bad news from April onwards culminating in a friend’s son being diagnosed with advanced cancer. Having two young boys myself I just couldn’t imagine how I would cope with that kind of situation. I almost needed to remind myself that there were good people out there and I wanted to do something to show support for the family and raise some money for a charity that helps families who find themselves in that situation. 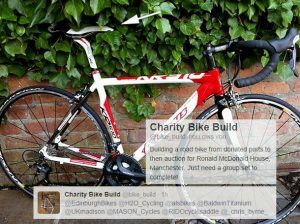 “Graham started a Twitter account @bike_build with the intention of asking people to donate road bike components which would then be assembled with the bike being auctioned and the proceeds donated to Ronald McDonald House. ‘The charity offers free accommodation for families whose children are receiving hospital treatment. It allows the family to stay close to their son or daughter during treatment and reduces the financial stress of having to shell out for petrol and accommodation costs during what is already an incredibly stressful time. It doesn’t look to find a cure but it does provide immediate help for people. 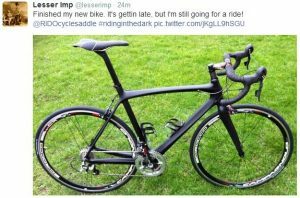 “So far the project has been donated new components totalling around £700 including a brand new frame and carbon fork from Kinesis UK. “In fact, all that’s left to complete the build is the drivetrain and tyres. 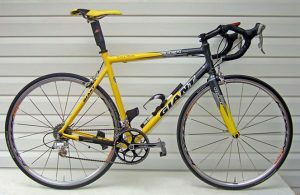 Graham is now looking for a donation of drive groupset to go with the Mavic Aksium wheels, Rido Rlt saddle and Deda seatpost. 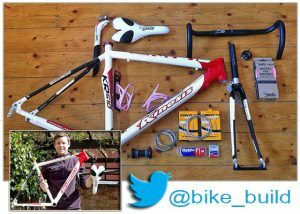 ‘I really want to complete this bike, get it built and auctioned so we can support Ronald McDonald House. The support from donors to date has been unbelievable and I desperately want to get over this final hurdle to complete the project. “My overriding message is ‘if you can help then please don’t just read this but get in touch and help us support a wonderful charity.’’ says Graham. 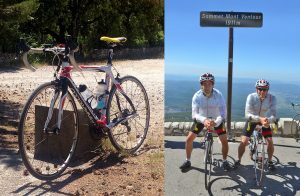 “I am extremely pleased with my RLt sprinters. I have your saddle on all 4 of my bikes. I am an Audax rider averaging 10,000 miles per year with yesterday’s ride measuring 250 miles. I finish towards the front on these rides despite my age of 66. I always followed your advice to set the front of the saddle flat, but it still aggravated my prostate, so I tried lowering the front gradually to eventually quite a severe degree. I am now very comfortable sitting on the rear of the saddle, with the nose well below my prostate. You might like to suggest this option. “Hi John. Trust you are well. Martin text(ed) me yesterday as he went out and tested the 2nd (RLt) saddle. He wrote saying he loved it and is going to introduce them to new buyers of the Varibike. He said he now understands how much happier clients are when they are on a great saddle! 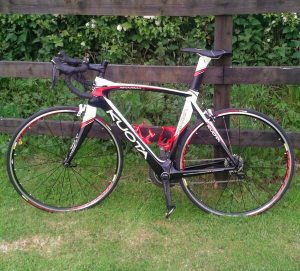 “Dear Sirs, in the last 18 months I’ve gone from a Selle Italia Flyte TI to a Specialized Phenom to a Romin to a Fizik Antares. I bought one of yours (RLt) on Feb 1st. A bit of fiddling to get the angle right – its tilted down on the nose by a bit more than normal. This is the first saddle I’ve ever had that I haven’t been conscious of: no bone ache, no perineal ouch / tenderness… nothing. Also, it doesn’t catch on my shorts. Very odd, I can’t see why it should be so different but it is. This is not the same animal, its a different species. My bum says thank you! 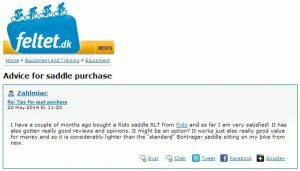 Someone in another post about prostate issues and saddles mentioned a saddle called the Rido RLt, I had never heard of it before. I googled it and read about it, then searched ebay and happen to find one for sale and bought it. I went from a 155 wide Selle Italia Turbomatic to the 138 wide Rido Rlt, it is the best saddle I have ever owned, hands down, I couldn’t be more comfortable. Unfortunately they’re not available presently in the US, or at least hard to find. 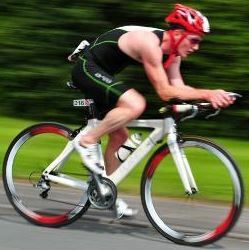 I’m looking for a second one for my other bike, if anyone knows where to find one in the US please let me know. Check out their site, it describes how it works, it does work! 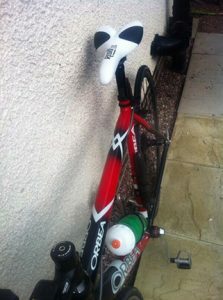 to give up cycling until I tried these saddles! 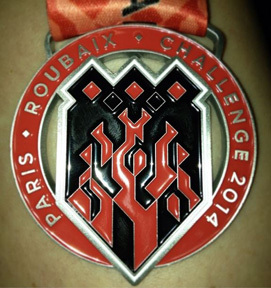 “I used the RLt for the Paris Roubaix sportive and was very pleased. I have been planning to run some other tests here in the studio as I have been so pleased with it, but due to crash a week later I have not been on the bike since. However, I have been sending clients to your site as both your saddles are in our ‘test’ line up. 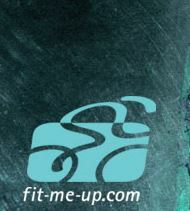 Gain the maximum from your cycling experience.